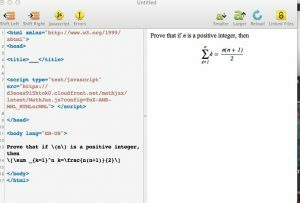 When we first got this blog, it looked as though entering mathematical notation was going to be difficult. It isn’t! MathJax to the rescue. To get the following mathematical notation, you basically need to add a script, and write your math in TeX. Now we still need to find some content for the blog!